Take a listen to "Christmas in the Stars." It is bound to make you smile; it did me. 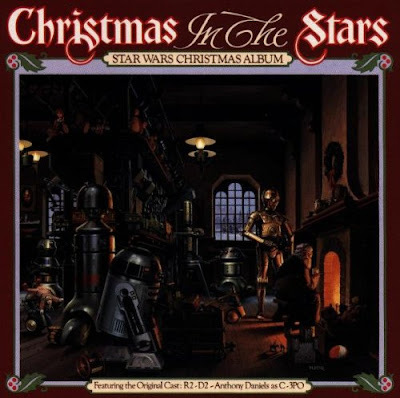 I think that this Christmas album is bound to be of interest to Star Wars fans though I do not believe that it has joined the ranks of classic Christmas music. The recording is available on vinyl record, tape cassette or compact disc from Amazon by clicking right here. It would make a totally unexpected Christmas gift for a fan of the Star Wars franchise, don't you think? Buy Christmas in the Stars on Amazon. Author's Note: This page was originally written in 2008 on another site.